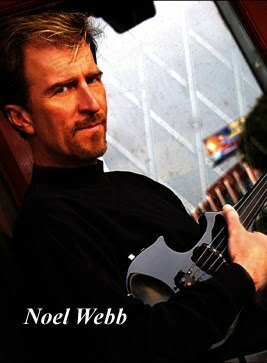 Even if you’ve never heard of Noel Webb, there’s a good chance you’ve seen or heard him before without knowing it. Apart from his music career, Webb’s resumé is full of notable credits in film and television. He is an accomplished actor, having been a regular cast member on General Hospital and a recurring character on Mad About You. More recently, his work as voice-over artist has been heard as the narrator of many movie trailers and popular biographies on TNN and A&E. As naturally captivating as his voice may be, however, it pales in comparison to the many voices of his electric violin. Performing professionally since the age of 14, Webb went on in adulthood to work with many great artists including members of Herbie Hancock Headhunters, Tony Bennet, and the late Grover Washington Jr. Along the way, he developed a signature style of rock-jazz electric violin that owes as much to the revolutionary guitar work of Jimi Hendrix as to any of the jazz greats. “Journey With Me” is taken from his forthcoming sixth studio album Violin Electric. His striking sound is clearly featured in this video where we watch Webb pull a jaw-dropping range of tones from an instrument much of the world has never heard. Our hero intends to change all that. Check out some incredible live performances here!